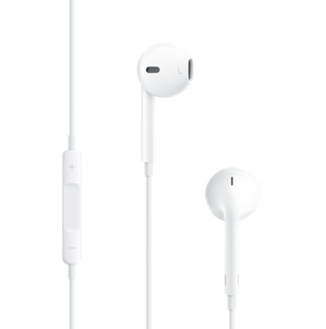 Last year, I bought some EarPods for my iPhone and iPod….just for your casual listening stuff. I’m a massive advocate of mixing on headphones… I’ve mixed and mastered a large proportion of material on my Seinheisers over the last 5 years, til my studio space was finished, but since finishing my studio last year, I reverted back to a bit more normality, but I still use headphones for mix prep and editing. So, when I tried some prep work on the ear pods, gradually over time I did a little compression, a little EQ and a bit more balance work….stuff usually reserved for monitors, but when I took my mixes into the studio for the ‘proper mixing’ I’ve been ever more suprised by how accurate those little ear pods are…..
I’ve spent a few hours this week on a mix…with lots of sub bass: usually super hard to place on headphones, but after taking the mix in the studio to finish, I was, again, surprised at how accurate the mix was! In no way will I be hanging up my monitors, but, it just goes to show what this little bundles can do, and make a ten minute slot of free time more productive than it was before I bought them….